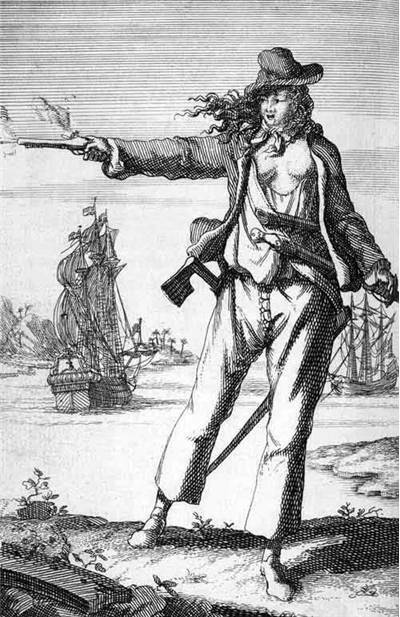 Anne Bonny is remembered as one of the most famous female pirates who operated in the height of the notorious and today highly romanticized period known as " Golden Age of Piracy". During her short few years as a shipmate and lover of the pirate Captain "Calico Jack" Rackham, Anne proved herself to be an equal to any other pirate - she worked, drunk and fought alongside her friends in the environment that was filled with the much larger pirate personalities - formidable Blackbeard, murderous Edward Low and notorious Bartholomew Roberts who captured over 500 ships during his career. 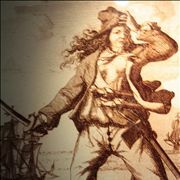 Today, mysterious circumstances of Anne Bonny's death continue to fuel the imagination of modern culture, and stories about her adventurous life represent an important part of the entire female pirate history. As one of the two highly publicized female pirates of the early 18th century (together with her friend Mary Reid), the fame of Anne Boone continues to rise with each year. Much of the information that we know today about Anne Bonny comes from the Captain Charles Johnson's book called "A General History of the Pyrates" which was released in 1724, only a few years after the end of the Anne's Pirate career. Although many historians believe that Captain Charles Johnson was a pseudonym for the famous author Daniel Defoe who wrote "Robinson Crusoe," history of pirates recorded in his book is regarded to be mostly accurate. Information that he provided about Anne's earlier life sadly do not come with sources, and no modern historian has ever managed to verify them. According to the Captain Charles Johnson's book, Anne Bonny was born around 1700 in Cork, Ireland, as a result of a scandalous affair between her father and his maid. In fear for his reputation, her father moved the entire family to America seeking a better life. He tried several professions (such as a lawyer), until settling into the profitable job of the merchant, earning sizeable wealth for himself and his family. In her early years, Anne proved to be difficult. She evaded education, often got into fights, and reportedly even stabbed a young servant girl when she was 13. Her pleasant appearance and red hear even more fueled her resolve and wished to become independent. She despised normal Victorian life in which women were expected to live home and only tend to their husbands and children. Seeking adventure, she quickly fell in love with the small-time criminal and pirate James Bonny who hoped to grab some of the lucrative business and wealth that Anne was entitled to after her wedding. Her father, however, did not approve of their relationship, and eventually, he totally disowned her daughter. 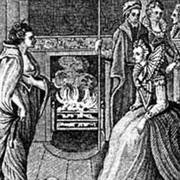 There are no historical proofs, but some stories mention that Anne's father plantation mysteriously became on fire shortly after her father removed her from his will. Freed from her family, Anne and James Bonny eventually ended up in one of the most famous pirate gathering points - New Providence on the Bahamas (sometimes between 1714 and 1718). There Anne quickly became friends with many pirates that visited this port, but James did not follow her wish to join then but instead became an informant for the office of Governor Woodes Rogers. His decision created animosity between the married couple, and Anne started more and more to visit local taverns and listens to the stories of pirate life. Finally, she met young and rising pirate captain John " Calico Jack" Rackham, with whom she soon developed a relationship. There are some theories that during that time Anne became pregnant with Rackham's child, but no concrete evidence of that was ever found (either it was not true, or baby died shortly after its supposed childbirth on Cuba). Either way by that time Anne's decided to leave her husband and join Rackham on the sea as a full-fledged pirate. To deceive the rest of the crew onboard Rackham pirate sloop "Revenge", Anne wore a male disguise and worked as a regular member of the crew. During that time, another female pirate came to "Revenge", this one also in male clothes. Famous Mary Read found her way to the John Rackham small ship after a lifetime of working as a sailor and soldier. It didn't take a long time until Anne and Marry found out about their true genders. As the stories tell two women soon became very close friends, but they continued to maintain their cover stories during every moment of their journeys when they were in public. As both women were passionate and well trained in combat, they even took part in physical parts of pirate life - boarding unsuspecting ships and fighting against defenders. 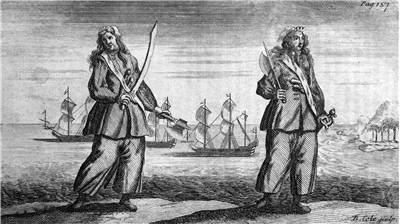 Several female pirates managed to shape the way we look at the age of piracy. 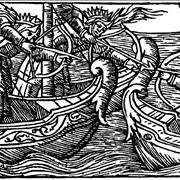 Here you can find out more about most famous female pirates of our history - From the fearless Viking women that raided northern Europe to the romanticized times of 18th century Caribbean. 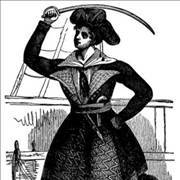 The complete history of piracy would not be complete without the mentioning of women pirates. Here you can find out more about their lives, environment in which they worked, and the legacy they left in the centuries that came after them. As the friendship between Anne Bonny and Mary Read grew, so did the jealousy of Captain John Rackham. He did not know the secret of Mary's true identity, and he thought that Anne and "Mark" have a secret love affair. Seeing the Captains rage, Mary revealed herself to captain, and as some legends say both women even started periodically openly working on a ship while being dressed in female clothes. As 1719 turned in 1720, exploits of Captain Rackham started slowly to build his reputation. He successfully captured fishing and trading vessels over the Caribbean, and English government took notice of his rise in popularity. Not wanting to enable him to become too powerful, English authorities sent famous pirate hunter Jonathan Barnet to find Rackham and apprehend him. He managed to find him on October 1720 when Rackham in his crew was celebrating the latest pirating plunder while being anchored in Dry Harbor Bay in Jamaica. Under the guise of dawn, forces of Jonathan Barnet boarded the "Revenge" and found that majority of the pirate crew was drunk after previous day's celebration. 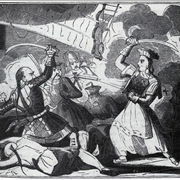 In the fight that ensued, it was said that Anne Bonny and Mary Reid represented the only major force of resistance against invaders. 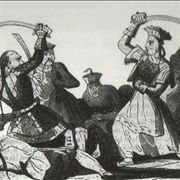 While the majority of the pirate crew hid under the deck, two women bravely fought until they were overpowered and captured. After a short struggle, every member of John Rackham's crew was chained and transported to Spanish Town where they were convicted and executed. 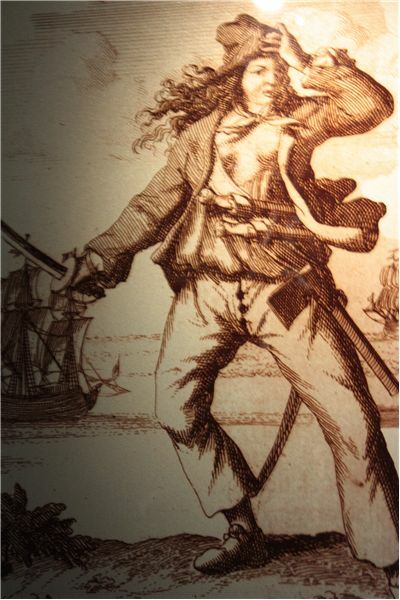 As a proof of the John Rackham's crew cowardice during their capture, Anne Bonny famously said during his trial: "If he had fought like a man, he need not have been hanged like a dog". As a warning to the would-be pirates, body of the hanged Rackham was tarred and placed near the entrance of the Port Royale's harbor. The exact fate surrounding the Anne Bonny's imprisonment and death was never verified by modern historians. According to some stories, both women claimed that they were pregnant and thus received a temporary stay of their executions. As records show, Mary Read died in early 1721, most likely from fever or because of complications at childbirth. Anne, however, disappeared from records. 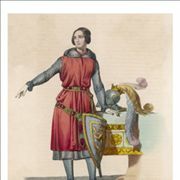 Some historians claimed to have found evidence that Anne managed to leave the prison (most probably after the intervention of her father, and his connection as a wealthy merchant), and that she birthed several children after that. According to them, Anne lived the remainder of her life in Charles Town, South Carolina, where she gave birth to the Rackham's second child and ten more children with her new husband Joseph Burleigh before her death at the age of 80 in Late April of 1782. The legacy that Anne Bonne left to the world was large. 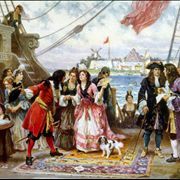 Stories of her life made her one of the most popular female pirates of all time (together with the famous Irish chieftain and Pirate Queen Grace O'Malley). Her fame rose as the time went when she appeared in many works of fiction. Artist often portrayed her as a fierce pirate, standing on a deck with pistols, dressed in battle-worn man clothes. She served as an inspiration to the many novels that centered on woman pirates, songs, movies, video games and other pieces of fiction. Her eventful life plays a big role in a romanticized view that modern pirate pop culture has, and also as a reminder of a time when the very little woman managed to escape the shackles of society and live their lives as they wanted.